Free tapas style side dishes are a staple in Korean restaurants – known as Banchan. 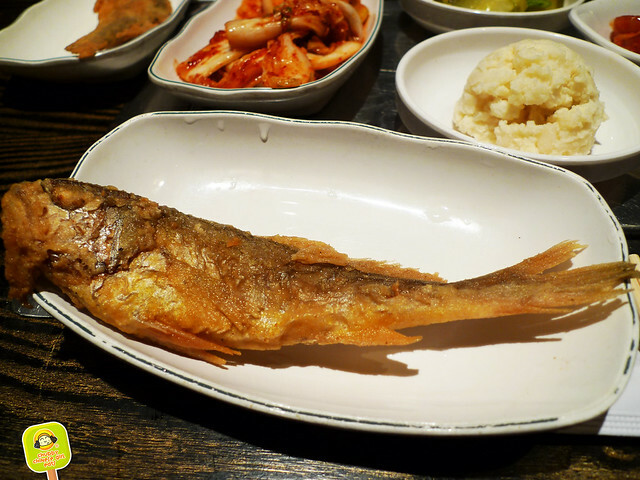 BCD takes it up a notch with a crispy fried fish. Everyone gets their own to munch on. Their version has the perfect balance of that crispy crunch on the outside and a chewy center. Love the chard edges. 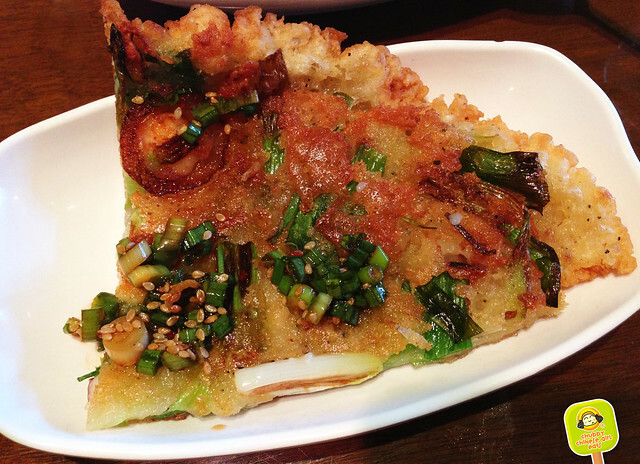 Loaded with seafood and scallions. The dipping sauce has chopped scallions, garlic, chili and sesame. One of my favorite ways to eat carb. 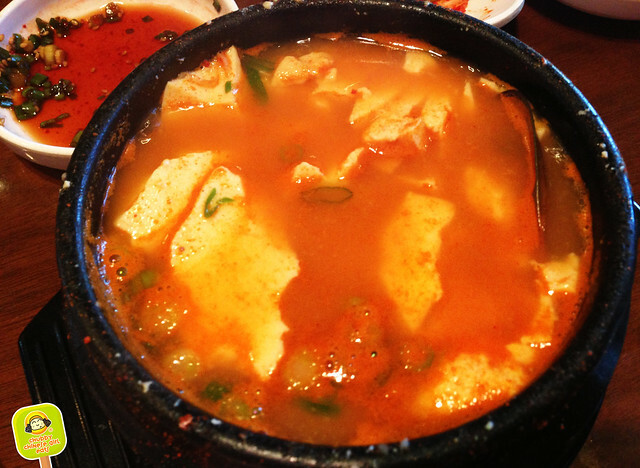 This spicy broth is definitely a hit on chilly days. Crack a fresh egg and let if cook in front of your eyes. The steam dances around your face and hugs you from the inside out. Their version has their 100% organic tofu. I like it surf and turf style with beef, shrimp and clams. Mmmm mmmm good – however you would say it in Korean. This is my favorite dish of all time. 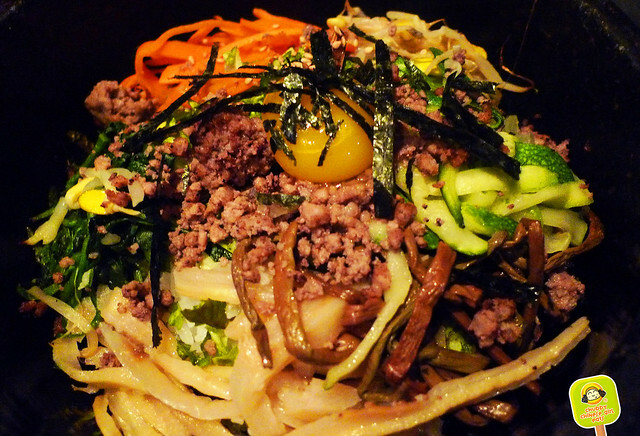 When I was in Seoul, there were restaurants that specialized in this dish, so it brings back good food memories. I believe it’s called Jae Yook Kimchi Bok Eum. 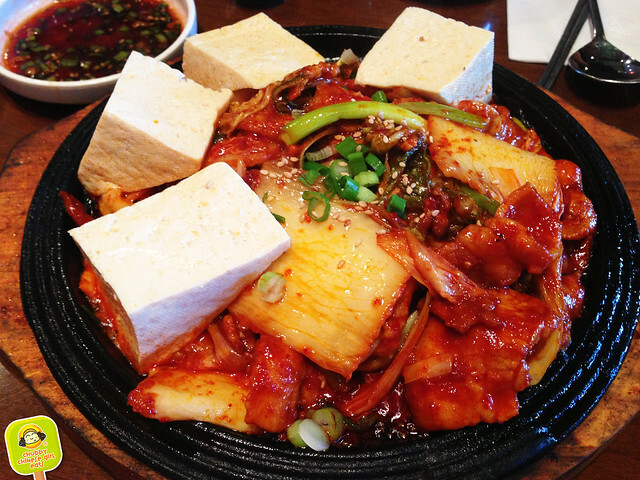 It has everything I love – pork, kimchi and tofu in a sweet spicy sauce. Sizzling, the aroma lights up table (if it came in candle form, I would get it). Love it over a big bowl of fluffy rice. 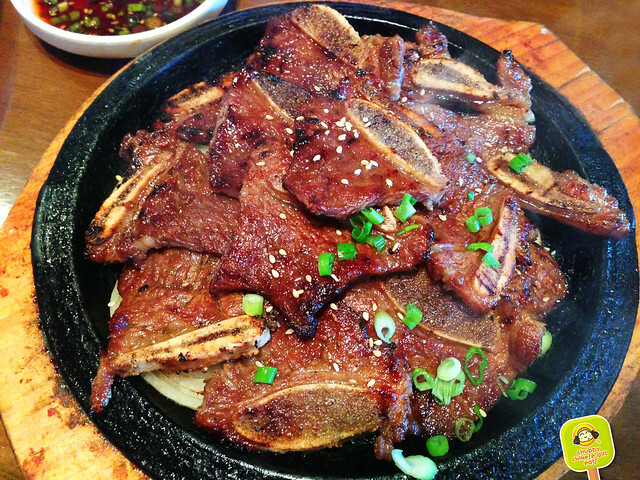 No Korean meal is complete in my book without some short rib. Sticky, sweet and coated with that open fire grilled/chard flavor. I’m no lady when it comes to these. Eating with my hands and chewing on tendon, caramelized edges and all. I clean up the bone like there’s no tomorrow. Finger licking good. Rice with a load of vegetables. Sauteed zucchini, radish, shitake mushroom, carrot, mountain vegetable (long strips that are brown) on a hot stone bowl. Swirl the egg and sweet red pepper paste. Vegetables never tasted so good. Whether I’m in Jersey or NYC, this Californian transplant is a favorite when Korean comfort food calls. An inexpensive meal that really makes my tummy very very happy.